It was another pasta day for me, and a very successful one. I really like that dish and it’s pretty simple once you get comfortable making fresh pasta. I have to say that Chef Udo’s method of rolling out pasta works for me and I’ll follow that far into the future. Using semolina to dust the pasta dough each time prior to putting it through the rolling machine is the key. We had a chance to work with Chef Jae again today. 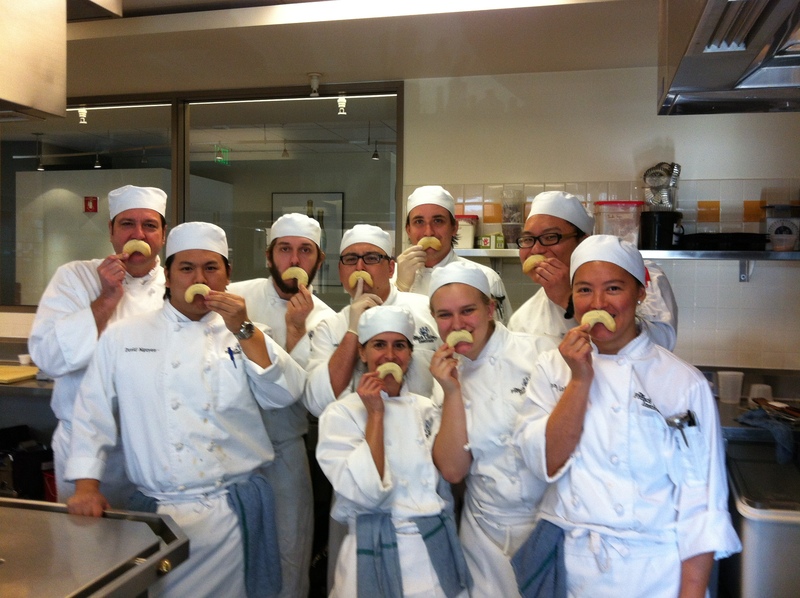 We made some hazelnut shortbread-type cookies and then we decided to use some as moustaches. Above is our class. I think Tomas looks the best in his moustache. 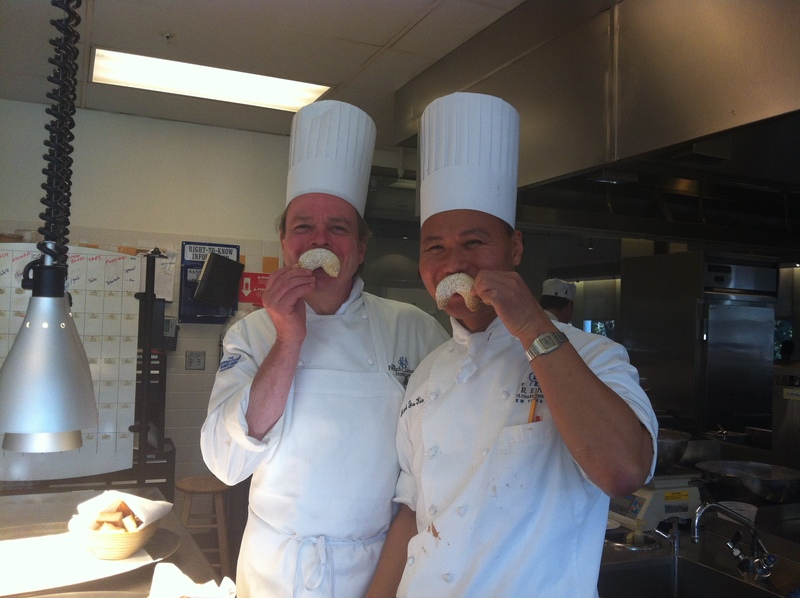 And, Chef Udo and Chef Jae. All in all a fun day!